50 Shades of Bay. The Environment of Port Phillip Bay, Victoria. 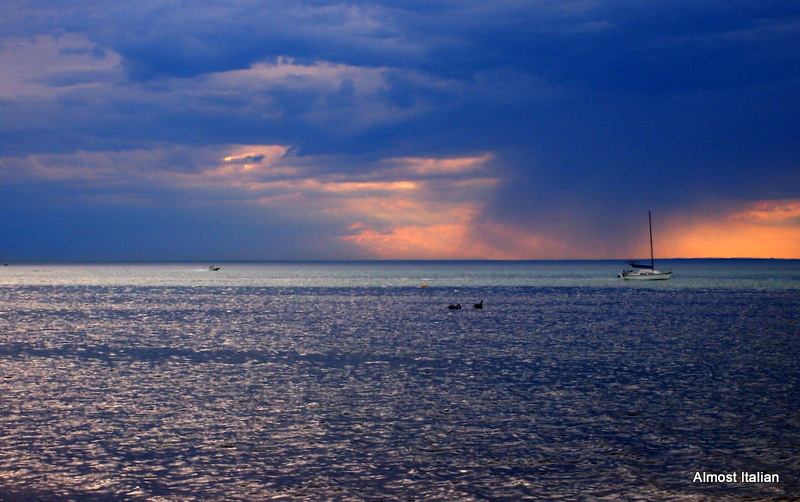 Every summer my extended family spends time camping at Port Phillip Bay, simply known as ‘The Bay’. Geographically, the bay covers 1,930 square kilometres (480,000 acres) and the shore stretches roughly 264 km (164 miles), providing a wonderful summer playground for many Melbournians. 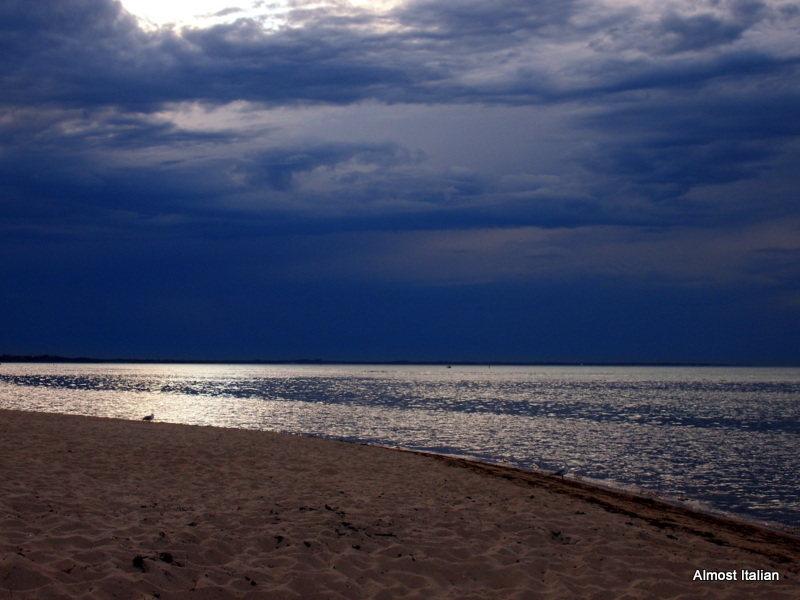 We love the bay and its ever shifting moods, skies and tides. Storms are exciting; sunsets are to be witnessed and documented. The bay provides space for private reflection when melancholia descends. On hot airless nights when it’s too difficult to sleep, the shoreline affords a cooler sandy space to while away the hours. Daytime brings children and families to play and dig sand castles on the emerging tidal sand bars, older children learning how to snorkel or body surf in safe, lagoon like warm water. On gusty days, wind surfers and kite surfers arrive in vast numbers. 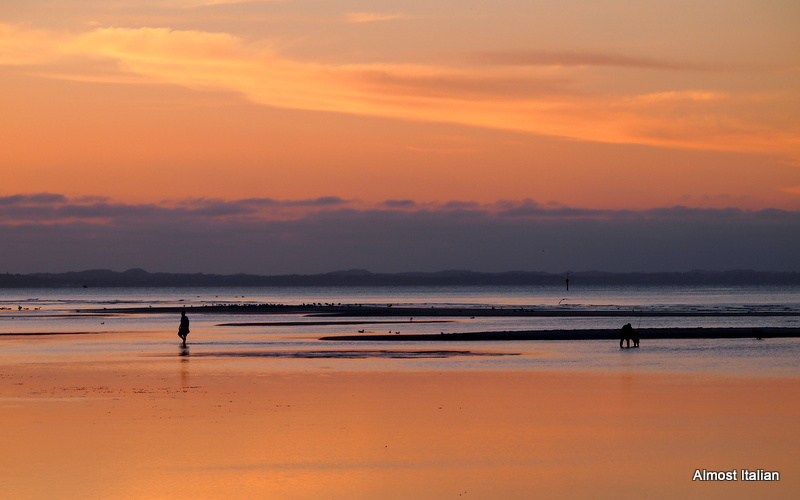 Over the years, environmental concerns have been raised about the delicate nature of our beautiful bay. The EPA monitors water quality, land care groups work to protect the creeks and natural flora and fauna along the shore, old invasive practices, such as groyne installation, have thankfully gone out of mode. Bay lovers are more aware than in days gone by, about the importance of sea grasses and protection of native flora. Fish species are monitored and catch limits imposed. The bay has a healthy stock of pinkies, snapper, flathead, and whiting. Removal of shellfish such as pippies, is an offence. Thanks Ailsa, from Where’s My Backpack for another engaging Saturday morning travel theme, Environment. We all hate those poxy jet skis. It is one of my favourite old Leunig poems. Great chance to get it out there again. Hi Francesca (my blister) – Terry & I are driving down to Rosebud this weekend to spend 3 nights there. We are going mainly for Michael’s birthday, Mum’s birthday and to see Aunty Joan. However, the bay has a lot of appeal also! It will be great to spend some time sitting on the sand at night and going for a swim during the day. We enjoyed a week at Lorne just recently and just loved it – it’s a beautiful seaside village. Victoria has so many beautiful beaches. Will have to stay at Anglesea and Lorne again but. See you soon. The beaches of Victoria are all lovely. And thankyou Stephanie for popping by. It’s cold where I am at the moment so this picture makes me homesick for Australia! Sending you some Aussie beach to your cold place although the hotels look rather glamourous, warm and comfy. The bay is special to Victorians. 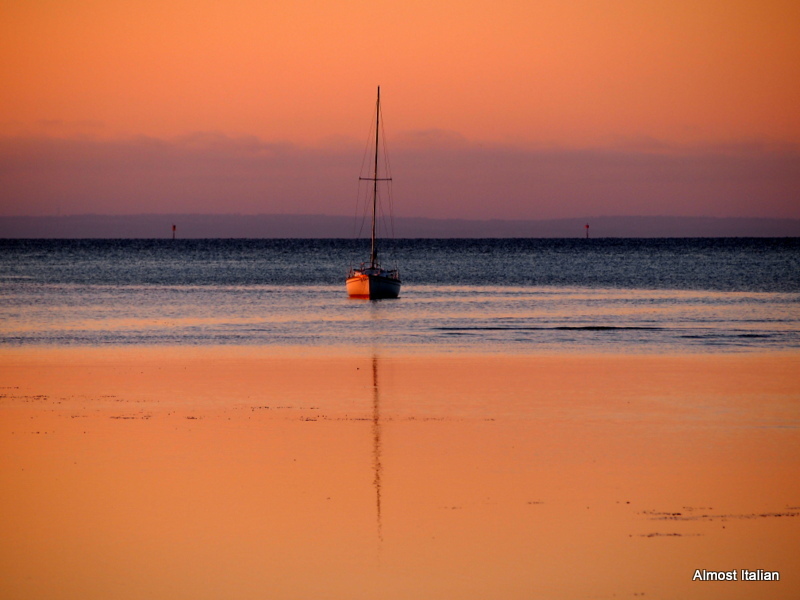 The bay looks gorgeous through your camera lens Francesca. 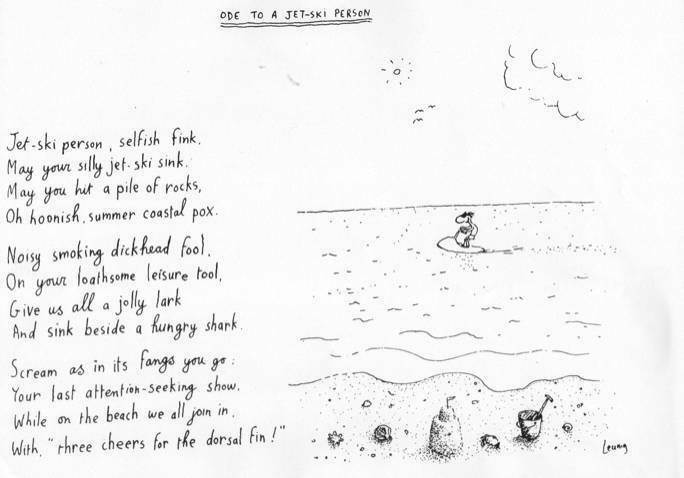 I agree with your loathing of jet skis, three cheers for Leunig, no holds barred! Leunig is so much a part of our lives- what would we do without him. I love Michael Leunig! My sister named her Vineyard after one of his cartoons…Curly Flat. Your photos are stunning, especially the first one. Thanks Debra- and what a great name for a vineyard. Amazing photos Francesca, especially the first one! Thanks Jane- Mr T took the first one – I’ll tell him. I agree – ski boats on the Murray are a pest and a little dangerous too. Had to think about DH – thinking about abbreviations and then it came to me! Love, love Leunig and this poem is the bees knees. We are also ‘non-fans’ of jet skis and were complaining about them at Chrissy. Great post and great photos. We used to visit there in my youth. Thanks for bringing back some wonderful memories. Jet skis are a curse. I think they should be banned. Pleased to bring back a few memories from your youth. Am back from spending a week there. Was bliss. It is a beautiful tribute to the Bay. Thank you for sharing your stunning photos. I love how, in some parts, like Dromana, you look to the horizon and see the towers of Melbourne rising out of the water like Atlantis! Ye, a great image Anne for that view, I often think of broken teeth on the horizon. The views are ever changing down there. words will have their way. I don’t remember that awful accident. How sad and yes, they are scary and many of the drivers are aggressive and often too young to understand how dangerous they are. Beautiful photos. What a gorgeous place. Thanks Liz, it is a wonderful summer playground and a great place to walk in winter too. Wonderful photos 🙂 Leunig fan as well, and hater of jet ski’s and noisy motor bikes… we ride a civilised tourer. Wow I can see I am in good company. I often felt like I was the only one who didn’t like jet skis. My cottage is on a bay in the Great Lakes and the noise, the pollution and the danger that these machine pose quickly ruin the serenity of being by the water. Lovely. I share your love for Port Phillip Bay – and for Leunig! Can’t live in Melbourne without learning to love them both! Leunig and the Bay- yes, very Melbourne! These are all extremely beautiful…and no jet ski. No jet skis. we all agree on that! Previous Previous post: Musical Rewards. Ponte Vecchio.